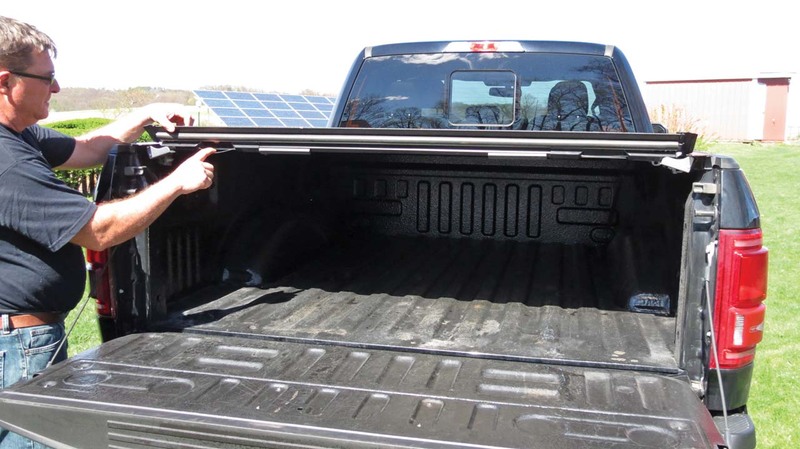 Tonneau covers have been around for about as long as there have been pickups, all with the same purpose; to keep your gear secure, safe, and out of the weather. Some designs were more successful than others. Recently we tried a cover from BAK INDUSTRIES called the REVOLVER X2 that is aimed squarely at the active, outdoor market. It’s just what we were looking for! 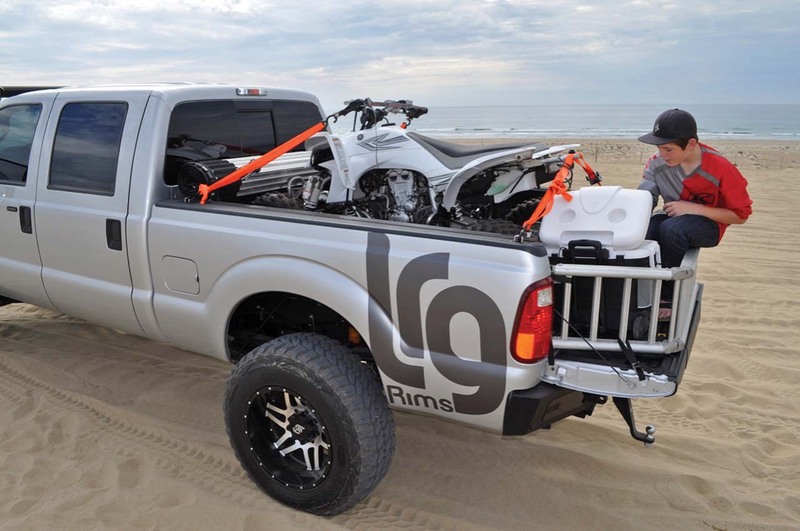 Bak Industries is part of a larger group called TRUCK HERO that specializes in accessories for trucks, particularly for outdoors enthusiasts who want both a custom look and functionality. After checking out several designs we thought the Revolver X2 would fit our needs perfectly and would be just the thing to dress up our new Ford F150 SuperCab while providing excellent security. A few days after ordering we had a large box from our UPS man, and a new Saturday project. 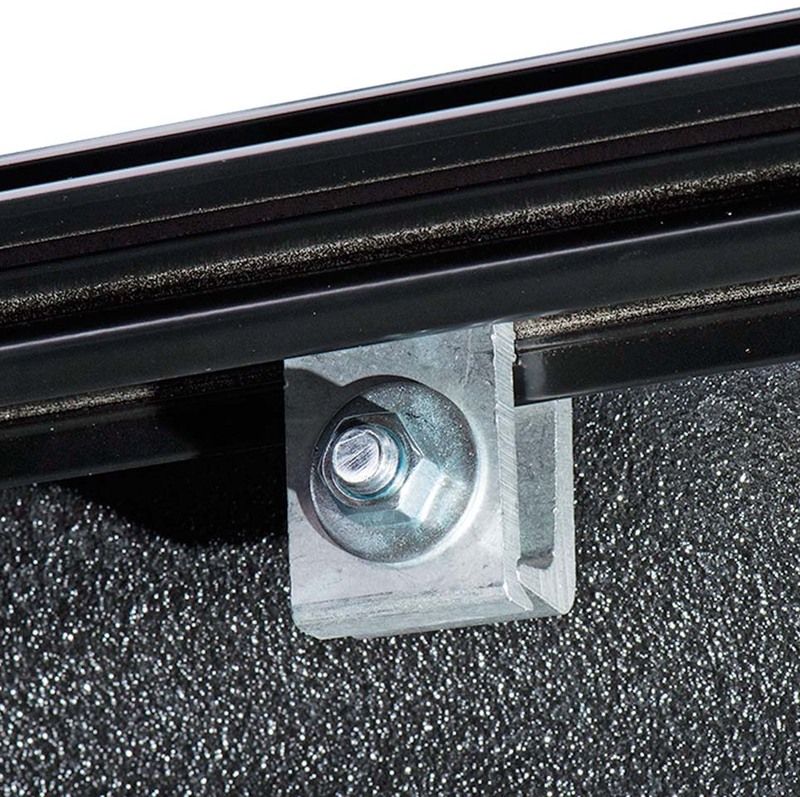 The Revolver X2 Rolling cover package includes a pair of bed rails, the Roll Top assembly, bulkhead seals, and all the clamps and hardware to complete installation as well as a detailed set of instructions. It’s pretty intuitive to determine where everything goes, but the instructions are handy for details and setup tips. We laid everything out and began fastening the bed rails into place. We like how the rails feel beefy and the inside ledge where the aluminum ribs sit is reinforced from underneath, providing a solid foundation for the cover. Once the bed rails were bolted down and our cover was laid on top there was little adjustment needed to get it perfectly placed. We were also happy to see the Revolver X2 comes with a large rubber drip edge at the front and tight seals all the way around to eliminate water creeping in, even when taking it through a car wash. A locking mechanism at the rear latches securely and works excellent every time. When it comes time to haul our ATV or Deere mower we drop the tail gate, pull the lock release mechanism which releases both sides, and roll it up. Just as they claim, the Revolver X2 can be rolled up with one hand in about 15 seconds. When you get it rolled up a couple plastic snaps hold it in place, and there are even rubber bumpers to keep it from rattling your truck window. It’s a well thought out design! Total installation time was about 45 minutes and required a minimum of tools and effort. 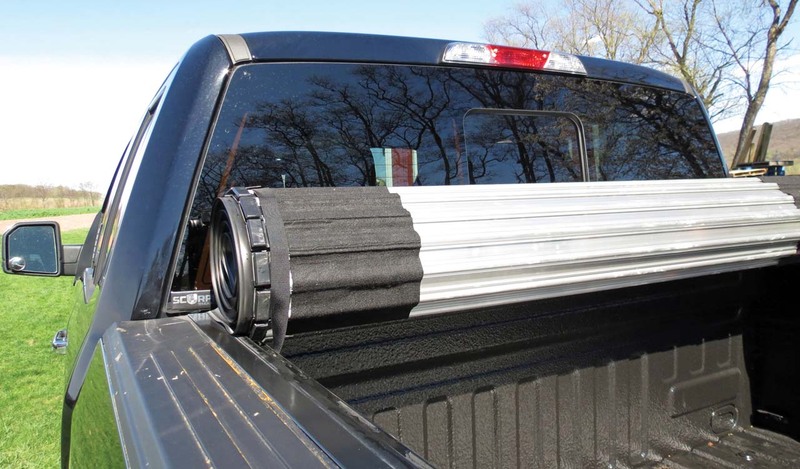 We’re very impressed with the Bak Industries Revolver X2 rolling tonneau cover. The low profile design barely shows above the bed rails, it seals very well, and it is much more secure. When the truck tail gate is locked it’s about as secure as you can make a truck bed, and we know our camping gear, cooler, and tool box will make it to the ride area with us wherever we go. On top of that it even helps with gas mileage, and it looks great! Trucks are all about versatility. The Revolver X2 cover just made ours an even more useful tool.